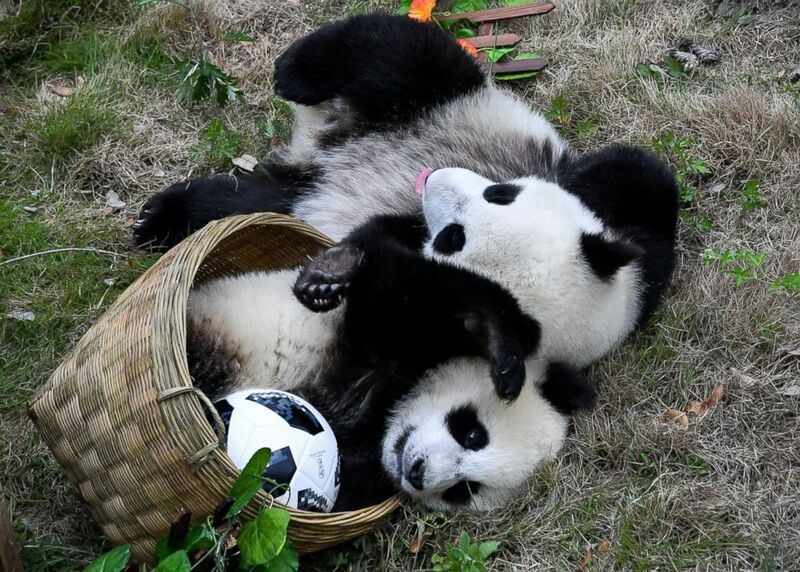 A giant panda conservation organization in China’s Sichuan province staged a soccer-themed photo op on Sunday to show giant panda cubs playing with and near soccer balls. 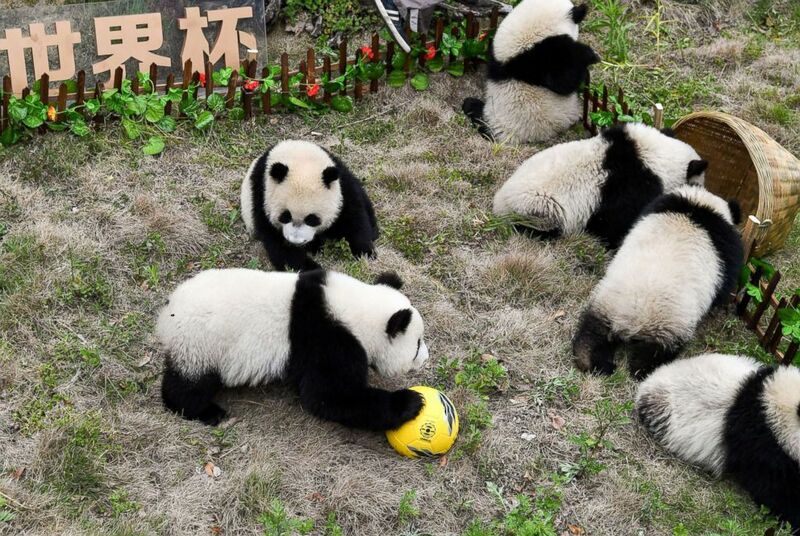 A makeshift soccer pitch becomes a playground for giant pandas cubs during a ‘match’ held at the Shenshuping Base of the China Conservation and Research Centre for the Giant Panda in Wenchua, China, June 10, 2018. 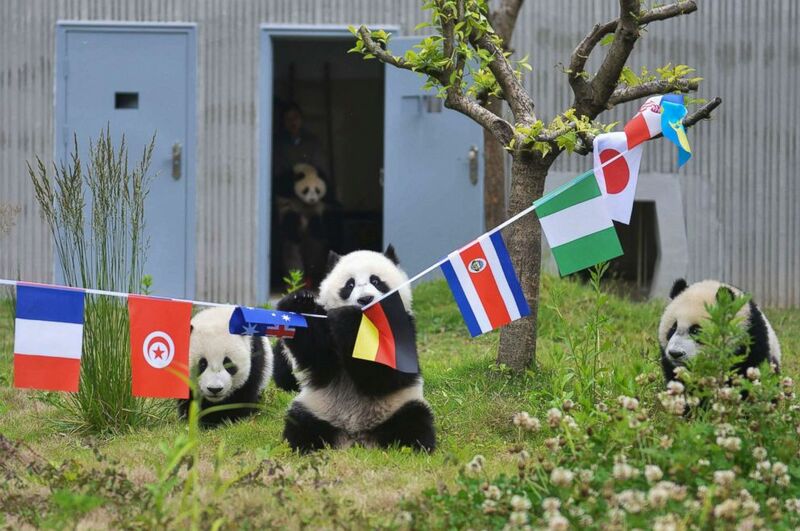 Workers at the Shenshuping Panda Base of the China Conservation and Research Center for the Giant Panda also strung a set of national flags in the panda enclosure to evoke the international spirit of the 2018 World Cup finals currently underway in Russia. 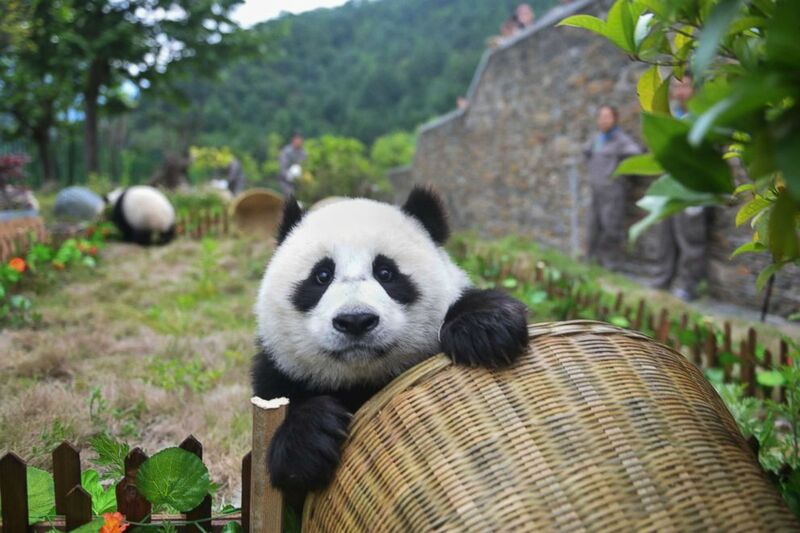 A panda playing in a mock soccer match seem more interested in playing in the basket ‘goal’ than scoring, an event at the Shenshuping Base of the China Conservation and Research Centre for the Giant Panda in Wenchuan, China. The photos depict the cubs, who are all less than 1 year old, seeming to show more interest in playing with flags and baskets than the balls. Giant panda cubs play with national flags hanging over a makeshift soccer pitch set up in their enclosure at the Shenshuping Base of the China Conservation and Research Centre for the Giant Panda in Wenchuan, China. Giant panda cubs play ‘soccer’ at Shenshuping Base of the China Conservation and Research Centre for the Giant Panda in Wenchuan, China, June 10, 2018. 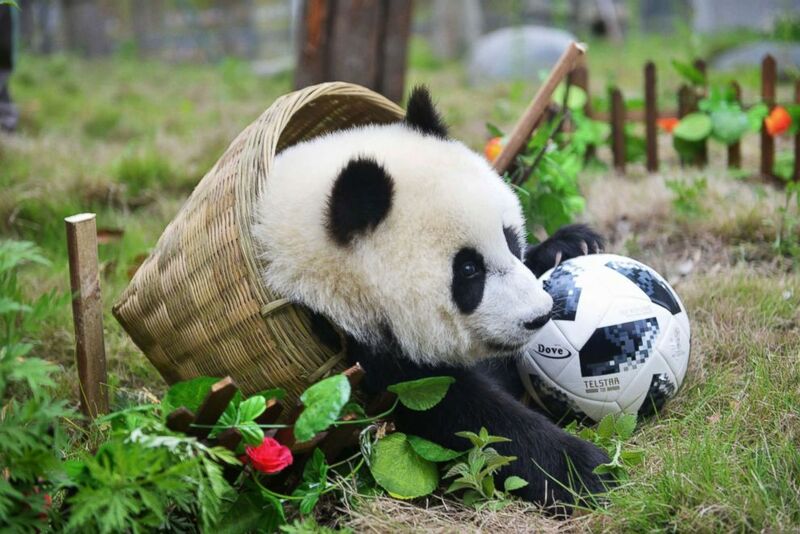 A panda plays with a basket ‘goal’ during a simulated soccer match at the Shenshuping Base of the China Conservation and Research Centre for the Giant Panda in Wenchuan, China, June 10, 2018, as the World Cup gets underway in Russia. China failed to qualify for this year’s World Cup, but the Russian state news agency Tass reported that over 100,000 Chinese fans traveled to Russia for the games. 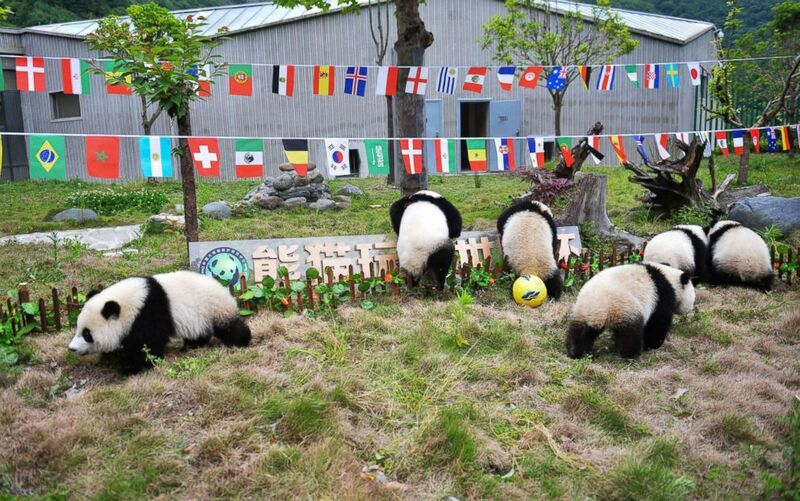 Pandas play on a makeshift soccer pitch during a ‘match’ at the Shenshuping Base of the China Conservation and Research Centre for the Giant Panda in Wenchuan, China, June 10, 2018, as the World Cup gets underway in Russia. 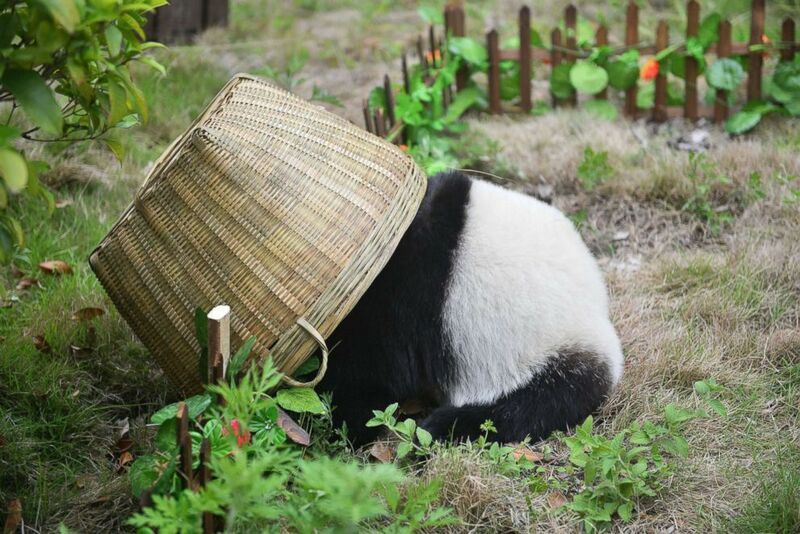 A panda plays with a basket ‘goal’ during a simulated soccer match at the Shenshuping Base of the China Conservation and Research Centre for the Giant Panda in Wenchuan, China.